Facebook just released a new programming language called 'HACK', designed to build complex websites and other software quickly and without many flaws. The company has already migrated almost all of its PHP-based social networking site to HACK over the last year, but it has nothing to do with Hacking. When Social Networking website Facebook was started 10 years ago, it was coded in PHP by Mark Zuckerberg and team, but as the company grew, PHP Programming platform became difficult to manage and bug-free. Thus, Hack was born! Facebook Team decides to develop a new programming language that could combine elements of static-type programming languages such as C or C++ with dynamic-type languages like PHP, now called "HACK Programming Language". "Hack has deep roots in PHP. In fact, most PHP files are already valid Hack files." Facebook said, "We have also added many new features that we believe will help make developers more productive." 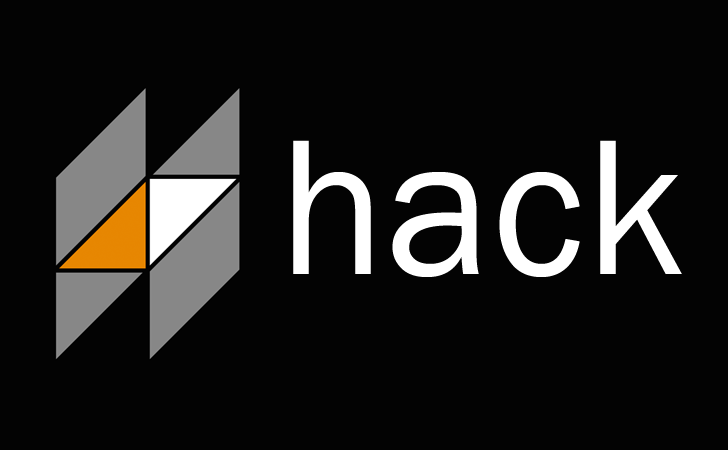 HACK is a new version of PHP, requires Facebook’s HHVM (Hip Hop Virtual Machine) which is designed to execute programs written in Hack and PHP. The top 20 open source frameworks on Github run on HHVM. "Traditionally, dynamically typed languages allow for rapid development, but sacrifice the ability to catch errors early and introspect code quickly, particularly on larger codebases." Facebook posted on its engineering blog. So Hack Programming Language offers a lot of potential for developers, enabling them to program faster and be able to catch errors more easily, among other things. "Conversely, statically typed languages provide more of a safety net, but often at the cost of quick iteration. We believed there had to be a sweet spot." Beta code is open source and now available at Hacklang.org and you can also get Hack programming language tutorials from website to learn this new language. "This is just the first step, and we are dedicated to continuing to evolve this software to make development even easier for both our own engineers and the broader community." The public release is not just to encourage developers, but also to quickly spot errors in Hack.